One bedroom with double bed and living room with sofa bed and kitchenette. The access is from the garden. 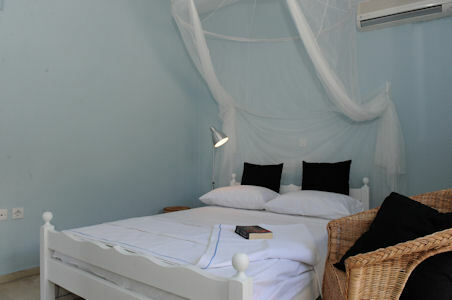 The room can accommodate up to 4 persons.